Midweek Hit - We give you one night for free! Stay 4 nights, pay only 3! Bookable on arrival Sunday or Monday! Book now your Wellness bargain! The family entry to the Grimming hot spring ist included! The Aldiana Grimmingtherme invites you to a feel-good experience the extra class. The thermal bath is only 8 km away from the Hotel Seebacherhof. In our large dining room, you and your friends or family can enjoy our breakfast buffet and dinner (choice of 3 menus). A large terrace offers a great view of the mountains around Tauplitz. For special coziness see our hotel bar with modern lounge. Pets are not allowed in the dining room. However, you can reserve a seat in the lounge, so you can take your favorite pet with you. 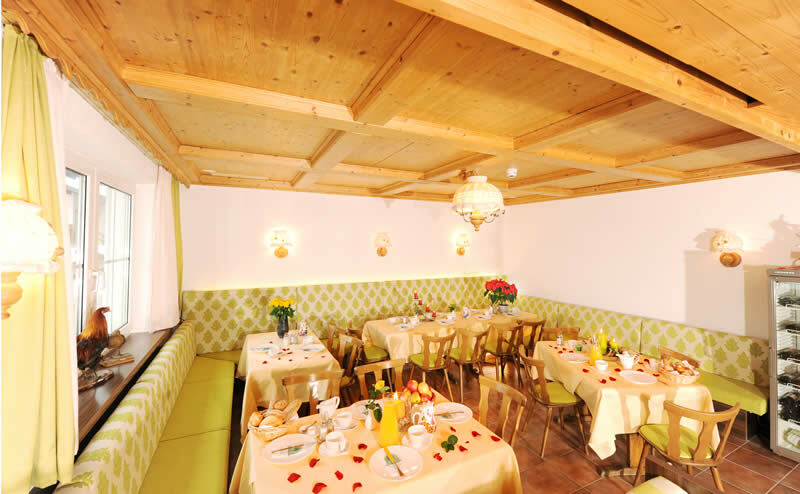 The 3-star superior hotel Seebacherhof in Tauplitz in the "Styrian Salzkammergut" is a family business and is centrally located and yet quiet - an ideal starting point for skiing, snowboarding, cross-country skiing in winter or swimming, cycling, mountain biking and hiking in the summer. In order to provide you the best, we are constantly striving to implement fresh and innovative ideas in Seebacherhof. So we modernized in recent years, the hotel and expanded. We now have 69 beds, a modern hotel lift, two hotel bars, partially covered parking, a beautiful sun terrace and a sauna area. The non smoking-rooms are all equipped with shower / toilet, telephone, radio, flat-TV, free WLAN and partly balcony. Surrounded by lush meadows and deep forests the Seebacherhof in Styria's Salzkammergut provides breathtaking views of the imposing mountains. As a special treat we also have a bike rental at the hotel. We rent mountain bikes as well as e-bikes to explore the most beautiful cycling routes in the Ausseerland. Family Seebacher and the entire team look forward to your visit! relax & recover in the "Ausseerland"
Are you looking forward to a few days of pure relaxation? Regardless, if you are planning a cosy weekend for two, a short break for the whole family or if you would like to spend your holidays with friends, we will ensure your stay will be enjoyable and memorable! A few steps from our hotel fascinating nature entices with diverse sport activities. Another option is the new hot spring complex "GrimmingTherme" located only 8km away from our hotel. Our ski resort "Tauplitz" provides ample opportunity to let off steam while skiing, snowboarding or cross-country skiing, as well as sleigh rides and snowshoe hikes. If you need a ski instructor there are several ski schools in the immediate vicinity. There you have also the possibility to rent skis, snowboards or cross country skis. The Ausseerland-Salzkammergut offers a lot of variety and entertainment. 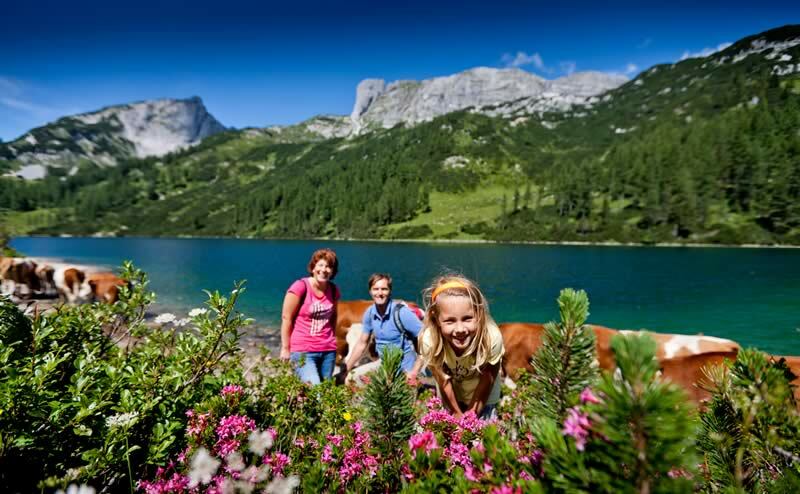 Enjoy the great impressions of our region such as the plateau of the Tauplitzalm, the salt mine or the crystal-clear Salzkammergut lakes with great swimming spots.